Juanita is my 2010 pick for the year. 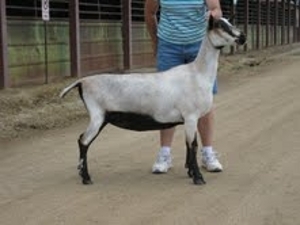 We took her to her one and only show in 2011 and she earned two reserve grand championships. Juanita is very level on the top line and has a very long & level rump, much like her dam and sire. She is a long and tall-bodied doe. She is extremely wide & high in the escutcheon. She reminds me much of her grand dam, Gypsy. She is open and flat ribbed. 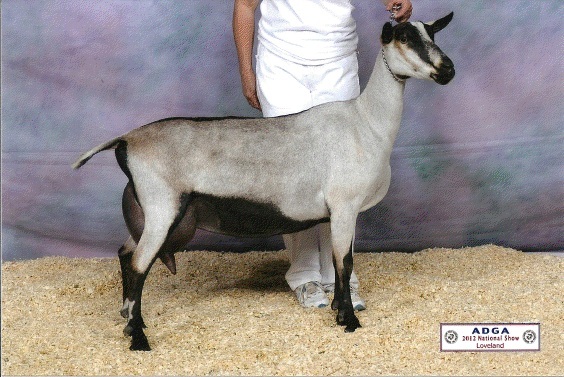 Her dam, Shine has been a breed leader for three years. Shine also has had a 4% butterfat. 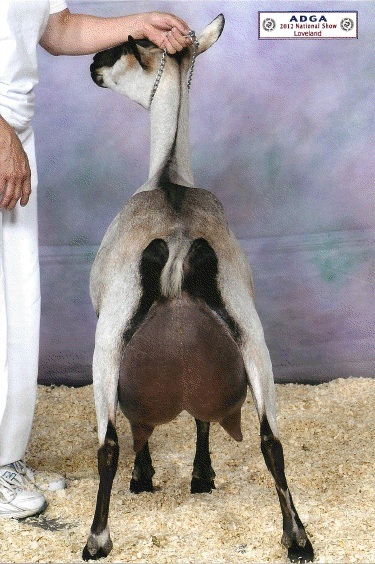 Juanita was the most productive first freshener in 2012 and in 2013 she placed #5 in milk & Butterfat and #10 in protein as an ADGA breed leader. Juanita has a well-attached & balanced udder. She has a smoothly blended rear udder. She could use a smoother blended fore udder. Her teats are not as plumb as most Gentry daughters and are a little to the outside and they are a little wider at the top. She is easy to milk. She has the best disposition. We love our Juanita.